As part of the imperial family, every move by Chu Yuan in this game of chess is made with apprehension, fearing that with a moment of inattentiveness, the whole match will be lost in a single move. Ascending to the throne at eighteen, not half a year passes before civil strife erupts in Yun Nan. Though the thoughts of the old guard at the imperial court are not exactly identical, they are all waiting to see how the new emperor will put an end to this. Unexpectedly, before this side could make a move, a few thousand miles away, the King of Xi Nan, Duan Bai Yue, had already personally commanded troops to attack in all directions; not half a year had passed when peace was restored. Sparse moonlight shines into the palace; Chu Yuan stamped the wax seal himself, and had a secret letter sent urgently to Yun Nan 800 miles away — this time, what must we(1) give in exchange? Brush marks passed through the back of the paper; it almost can be seen, when writing this line, how angry the young emperor was. Duan Bai Yue spread out a piece of paper unhurriedly, replying with only one word. (1): Chu Yuan is using the royal ‘we’ here. 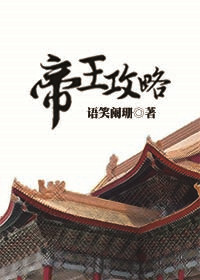 Note that this book is actually the last of a series of 4 interconnected novels, starting with "Everywhere in Jianghu is Wonderful". The main characters in the other novels do appear in this one, but it is NOT necessary to have read the previous ones to understand this one, although you'll know a little more about the side characters if you have read the previous books. This story is POV-switching, so it took me a little while to get used to it - I'm really glad the author chose to do... more>> this, as all the side characters and their interactions with each other (and the mains) are very interesting. The plot doesn't move very quickly, and in fact the entire novel spans quite a few years. However, I really love the development in the relationship between our MC (Chu Yuan) and ML (Duan Bai Yue), which takes a few twists and turns before the end. Story-wise, I felt that it was kinda slow near the end, but the characters were so engaging that I couldn't ever give them up, and the humor is always on-point, so even slow parts weren't boring. But there are only 2 reviews here, so I will add one, using the most basic and simple way to describe this story. The relationship between the emperor and Xi Nan King isnt at all complex after all. Sometimes you should said that it is funny (LMAO). I kinda expect deeper political schemes but too bad, ML had done his role too... more>> awesomely, soo I was quite disapointed. BTW, our ML's younger brother is very mischievous. His appearance makes many hilarious scenes.